At Doodle Bag we pride ourselves on providing the best quality tote bags that don’t compromise on quality, or the welfare of the people that make them. We work closely with our partner factories, building relationships and communication levels to make sure that end product is of the best possible quality, with the lowest possible footprint. 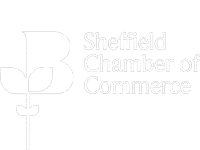 We regularly review our environmental promises, and are constantly trying to improve our ethical framework to not just keep up with standards, but exceed them. We have tirelessly sourced the cotton that makes our bags, hand picking the factories we use based on their accreditations, and visiting their facilities to be sure their working practices are in line with that of Doodle Bag. All the factories we work with are Fair Trade Certified, GOTS, and Sedex accredited, which each cover different areas of the working environment and the materials used in production. The Fair Trade Certification covers all aspects of the environment in which the bags are created, guaranteeing a living wage for all the workers and working conditions that ensure the health and the safety of all employees. Globally recognised as the most important standard that involves welfare and working conditions, we insist that our partners adhere to the same high standards we implement at our UK factory. The GOTS (Global Organic Textile Standard) exists to provide a platform for manufacturing to be socially and environmentally responsible. Specifically for the textile industry, this specialised certification process involves inspecting facilities and testing all chemical inputs of a given factory for material safety. 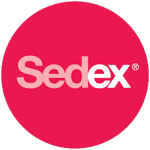 Sedex is a data sharing platform that covers labour standards, health and safety and business ethics that can be shared with suppliers, buyers and end consumers. We have made sure that our entire range of bags, from the lightest tote to the heavyweight shoppers, are made using the best available cotton, and constructed in such a way that makes them durable and long lasting. With an influx of low quality construction bags currently on the market, we decided to maintain a strict standard of quality throughout. Our factories weave the cotton tighter than usual which means a higher thread count and a product that won’t fray or fall apart after sustained use. Using the already developed standards of our parent company BIDBI, we are able to offer a product that has no trade offs in its construction. Doodle Bag is an ecologically focused printing company that prides itself in implementing and constantly improving its environmental practices. Our production process consumes as little energy as possible and all the materials used in the process are recyclable. 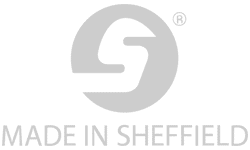 We actively recycle and re-use as much as possible within our Sheffield based facility, and regularly review our processes to develop and further our eco-ethical standards. We consilidate all our imports and exports into as fewer shipments as we can, and choosing carbon neutral shipping methods where possible. Whilst having accreditations is imperative to operating a responsible business, adopting a respectful and principled ethics policy on a day to day basis is also key to having a working environment that leads by example. We strive to create a workplace that is both safe and well maintained for employees involved in all stages of the manufacturing and printing process. We also pro-actively encourage employees to improve their own skillset to advance their career, and are continually looking at how we can empower workers to further themselves.